This weekend (from October 19-21), in Austin, Texas, the Formula 1 Pirelli 2018 United States Grand Prix will be speeding along at the famed Circuit of the Americas (COTA) racetrack where F1 drivers will magnificently maneuver the 56-lap race course with speed and precision. Through the thrilling race, Rolex will have an impressive presence that underscores the luxury Swiss watch brand’s long history of racing and motorsports. The brand’s relationship with Formula 1 racing is relatively new (just five years) compared to its long association with motorsports, but is just as important to the Rolex brand identity. Rolex’s earliest foray into motorsports and racing came more than 80 years ago when star driver Sir Malcolm Campbell broke a racing speed record wearing a Rolex Oyster in 1935. Campbell had been a lover of Rolex watches and was often seen wearing one to races everywhere and introducing the brand to other drivers and propelling Rolex’s presence on racer wrists even further. Finally, in 1959, Rolex partnered with Daytona International Speedway and subsequently created the iconic Rolex Daytona Cosmograph– a highly coveted timepiece that has become synonymous with auto racing. In 1950, the Formula 1 races re-emerged after World War II ended and captured the world’s attention. Formula 1 cars are single-seater rides with open wheels and outfitted with aerofoil wings that create downforce to keep the speeding car adhered to the track. These specially-crafted cars make Formula 1 road course races the fastest in the world. In 1968, Rolex partnered with Sir Jackie Stewart, a three-time Fédération Internationale de l’Automobile (FIA) Formula 1 Drivers’ World Champion, as a brand ambassador. 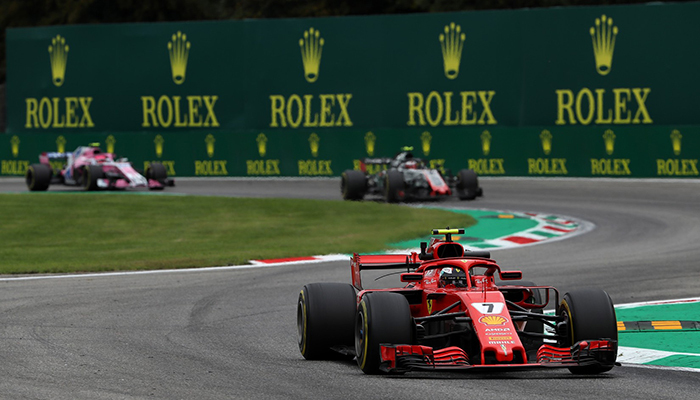 While Rolex remained a sponsor of Formula 1 throughout the years, it wasn’t until 2012 that Rolex announced its partnership with Formula 1 racing and, in 2013, became the Global Partner, Official Timekeeper and Official timepiece for F1 races. Rolex had beat out competing bids from TAG Heuer and Hublot for the 10-year contract (estimated to be worth a quarter of a million dollars) with Formula 1. Rolex made a smart brand partner given its deep commitment to endurance, classic and vintage automotive racing (Monterey Motor Sports Reunion, Monterey Classic Car Week, Rolex 24 at Daytona and more). For Rolex, extending its support of automotive sports to the thrilling Formula 1 races was a natural choice. The 21 races that comprise the 2018 FIA Formula One World Championship™ take place in nearly two dozen countries around the world. The individual races began in March and run until November. With its contract, Rolex is the title sponsor of several important F1 races, and is the Official Timekeeper of all F1 events globally. At every Grand Prix™, there is an official Rolex Pit Lane Clock, specially-designed to showcase Rolex’s commitment to precision timing and the pursuit of excellence. While Rolex already has an impressive roster of auto sports drivers, including Sir Jackie Stewart and Mark Webber, the Australian driver who won the FIA World Endurance Championship in 2015, as brand ambassadors, it recently announced the addition of Nico Rosberg, 2016 FIA Formula One Drivers’ World Champion. Rosberg, like Stewart, wears the Oyster Perpetual Cosmograph Daytona watch. 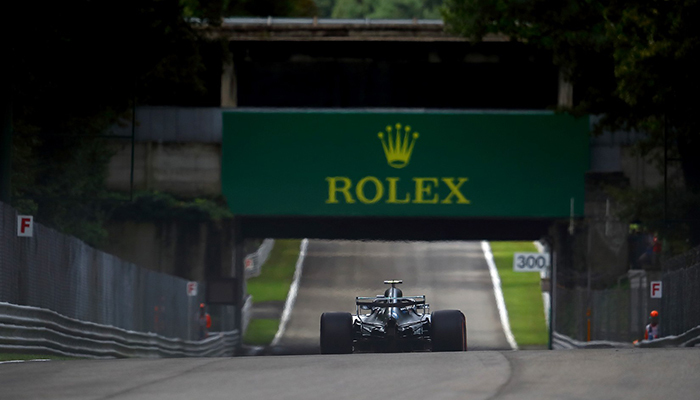 With signage around the circuits and with official timing clocks on the grounds, Rolex’s presence can’t be missed during the incredible F1 racing.